Recently (Apr 26) I had the pleasure of visiting my friend, Anne. We went to the NY Botanical Garden on a lovely, warm day. The Garden is right across from the Bronx Zoo and next door to Fordham University. After riding the tram around the garden we went back to the grove of cherry trees, all in bloom. We walked around and took photos. I was using my Nikon CoolPix P330, a fine little camera that fits in my pocket, making it ideal for such situations. Anne had forgotten her camera, but lucked out by having her new iPad Mini with her. She managed to get some lovely shots with it. I’ve always admired Anne’s eye for a creative point of view. The cherry trees were absolutely beautiful and were being enjoyed by several people of all ages, children to seniors. Other photographers were seriously seeking their shots as well. Crabapples and magnolias were also in bloom. We explored the grove of cherry trees, then went in search of a crabapple tree we had seen on the tram ride. We found it, along with a rather crooked conifer and some beautiful forsythia in bloom. We then went in different directions, Anne back toward the crabapple trees and I to the magnolias. After marveling at the beautiful and varied magnolia trees, I joined those waiting for the tram and rode back to the main stop, where I reunited with Anne. Right near the tram stop is a magnificent old cherry, which even has one branch propped up for support. The blossoms were dropping petals, making for a magical scene. 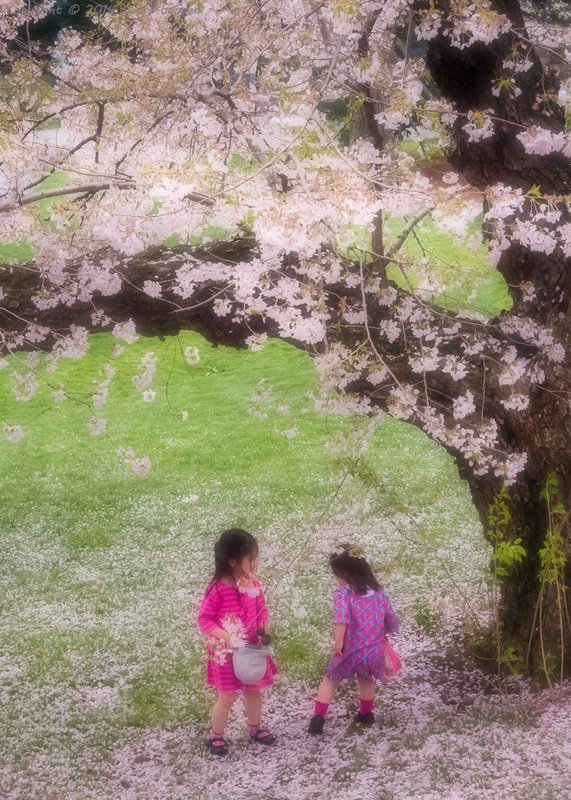 Two young girls were fascinated by the falling petals, running about trying to catch them in their hats. 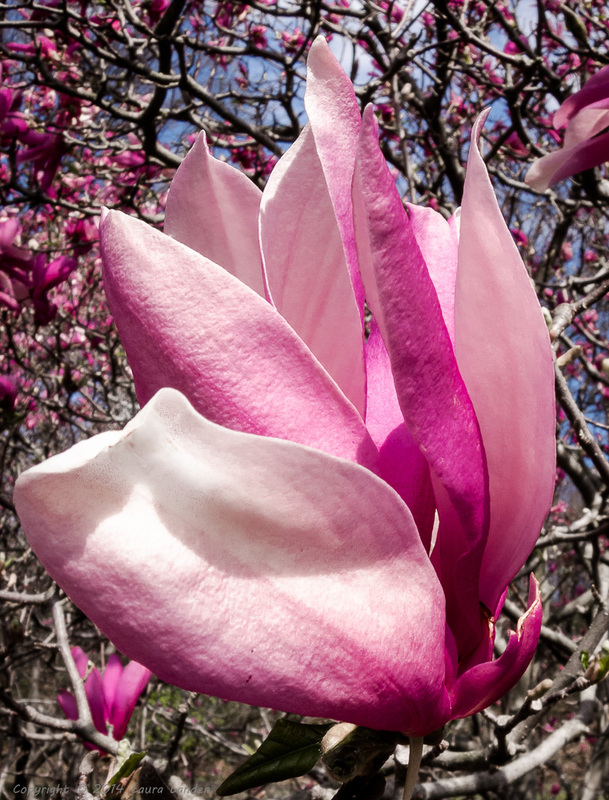 Enjoy this gallery of photos from the NY Botanical Garden, a photographer’s delight. Beautiful! Wish I was there.